It’s been exactly one year since my trip to New Zealand and therefore the month of December is indeed nostalgic for me. It is also the best time to visit New Zealand and you can continue doing so until the first quarter of next year and into our summer holidays which starts in April and is autumn time in New Zealand when natural New Zealand is at its beautiful best. The 3 hour Queenstown Highlights Tour came to an end when I got off the coach at the Shotover River to experience one of the many must do activities in Queenstown – the Shotover Jet. In fact Queenstown has so much on offer that it belongs to the group of the Leading Mountain Resorts of the World which comprises of four of the world’s most highly rated and awarded alpine resorts, the other three are the Vail in Colorado, USA; the Val Gardena in the Dolomites,Italy and the Bariloche in Patagonia, Argentina. All these four resorts- two in the Northern Hemisphere and two in the Southern Hemisphere offer superb skiing and boarding as well as a full range of year round activity covering all the four seasons of the year. 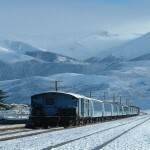 The range of activities offered in Queenstown is so varied and diverse that the best thing to do would be to visit the website www.queenstown-nz.co.nz to get an overview as truly Queenstown is the ultimate four season playground with the wide range of activities it has to offer. 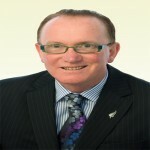 To name a handful of them, you have golfing, fly fishing, double decker bus tours, winter and salmon fishing, mountain biking, dart river funyaks, kawarau and shotover river rafting, Lord of the Rings Off-Road tours, fly-by-wire adventure flights, rungway, abseiling and rock climbing, world’s highest canyon swing, series of off-road adventures, helicopter and scenic flights, canyon tour, paragliding, hot air ballooning, horse riding, hang gliding, river surfing, skydiving, fly by wire the fastest adventure flight in the world or even a fly a jet simulator experience. And at the end of the day you can also experience some holistic health and beauty treatments. After all the adrenalin pumping activities. And the good thing is that you could book all of these activities here along with a wide choice of accommodation options. With the limited time that I had , I wanted to make the most of my last day in Queenstown and I got started with the world’s most exciting jet boat ride – the Shotover Jet. The company offers thrilling rides in the Shotover River since 1970 and over 2 million passengers have experienced the twists and turns through the narrow canyons at breath taking speeds with several 3600 spins. The jet boats have departures every 15 minutes from a place which is 6 kilometres off Queenstown known as Arthur’s Point. Each thrilling ride is for about 25 minutes and if you were to do it as a stand alone programme from Queenstown you would have to set aside atleast 90 minutes including transfer times to and from Queenstown. So it is always a good idea to combine the Shotover Jet with other activities. Shotover Jet is the only company permitted to operate in the spectacular Shotover River Canyons. It’s a thrilling ride – skimming past rocky outcrops at close range in your Shotover Jet. Along with an exhilarating experience, it is worth taking back ‘Catch the Canyons’ Photo Pack which includes your pictures taken whilst you enjoy the thrill of the jet boat ride as well as postcards, interactive CD Rom comprising of a short video, images as well as internet e-cards that you can send to your family and friends back home- an ideal souvenir to go along with a thrilling ride. You can visit www.shotoverjet.com for more details. After the Shotover Jet experience, as I had limited time in hand, I had pre-arranged a booking with Nomad Safaris to do the 4 hour Safari of the Scenes 4WD tour to the Wakatipu Basin which included some of the sights where the Lord of the Rings trilogy was shot. The tour which generally leaves from Queenstown spans for a duration of 4 hours or if you do take a tour to Glenorchy then the tour can last the entire day. Our scenic tour included goldpanning, 4WD river crossings in the Arrow Gorge and a great overview of the diverse scenery of the Queenstown and the Arrowtown area – from towns, to rolling farmland, rugged Skippers Canyon, and mountains and once again to the famous Kawarau Gorge bungy ride along with views of the film locations of Misty Mountains, the Pillars of the Kings (Argonath), the site of Isildur’s fall, and the Ford of Bruinen. You’ll also overlook Deer Park Heights, where the Rohan refugees and the battle with the Wargs were filmed.The Lord of the Rings was in fact a huge financial gamble because if the first movie would have been a failure, there wouldn’t be demand for the remaining episodes of the film. Of course, it was hugely successful with lots of box office receipts and lots of Oscars as well. After a long day, I grabbed a quick bite in the town centre before boarding the TSS Earnslaw Vintage Steamship operated by Real Journeys on Lake Wakatipu. I was lucky to catch the last cruise which leaves at 8.00 pm. The cruise lasts for around 90 minutes and you are taken back in time on this amazing steamship. The TSS Earnslaw is named after Mount Earnslaw which is the highest peak in the region and the ship weighs 330 tonnes with a length of 168 feet. The ship also known as the Lady of the lake, was launched in 1912 to transport goods for locals and convey passengers on Lake Wakatipu and is one of the icons of Queenstown. Today, this ship is an integral part of tourism to this region and you get to experience and see the stokers fuelling the fireboxes and hear the sounds of steam engines working aboard this majestic vessel. There are evening excursion options to Walter Peak where one can alight to dine and do a farmyard tour as well. I preferred to do the cruise only although I would have loved to spend some time at Walter Peak. However, I had a very long day and next morning I bid adieu to Queenstown and headed in the direction of the alpine village of Aoraki, Mount Cook. It was a long drive ahead from Queenstown crossing the Lake Wakatipu region thru Central Otago to the small town of Twizel and into the Mackenzie region which is in the centre of New Zealand’s South Island. 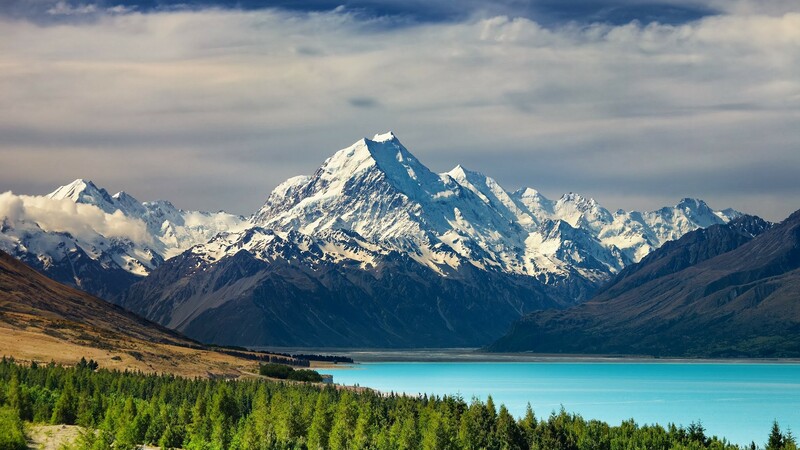 At 3754 metres, Aoraki which stands for “cloud piercer” in the Kai Tahu dialect of the Maori language was first sighted by Abel Tasman during his Pacific voyage in the 17th Century. Later, Captain John Stokes named it Mount Cook to honour Captain James Cook who first surveyed and circumnavigated the islands of New Zealand in 1770. Interestingly, Captain Cook did not sight the mountain during his exploration. And later in 1998, the official name was changed to Aoraki/Mount Cook to incorporate the Maori name. The mountain is in the Aoraki/Mount Cook National Park which in combination with Westland National Park is one of the United Nations World Heritage Parks. The park contains more than 140 peaks standing over 2000 metres or 6500 feet. The settlement of Mount Cook Village (also known as The Hermitage) is a tourist centre and base camp for the mountain. It is 7 km from the end of the Tasman Glacier and the village has a population of barely 120 which rises to a population of 300 in summer. The Village is a popular base to engage in a number of outdoor activities, including walking, mountain biking, rock-climbing, mountaineering and skiing. The Hermitage is the only Hotel in this region and was first opened in 1884 and later modernized to become the Hermitage Complex in 2001 with a wide range of accommodation ranging from budget to the high end traveller. The Aoraki Wing is the luxurious wing offering picture postcard view of Aoraki Mount Cook and Mount Sefton from its rooms. The Hermitage also has 32 Motels and 18 Chalets which are fully equipped and can accommodate four to six people. The Hotel offers fine dining in its award winning Panorama Restaurant or you can enjoy breakfast or dinner buffet with a wide selection at the Alpine Restaurant. As you are reading this article, a brand new planetarium called the Sir Edmund Hillary Centre will be opened at the Hermitage to offer visitors an awe inspiring star-gazing experience along with an interactive museum. An overnight stay is a must at the Hermitage as there is lots to do in the region besides enjoying the wonderful hospitality extended to all its guests by the Hermitage. One of the highly recommended must-do is the Mount Cook Ski planes which offers the only fixed-wing landing experience on a glacier in the Southern Hemisphere which is truly a magical experience. There are various other tours being offered in the region scuh as Heli-Hiking, Glacier Sea-Kayaking, Tasman Glacier Skiing as well as Horse Trekking and eco tours as well. As Mount Cook is equidistant from both Christchurch as well as Queenstown and you can reach from either of these South Island cities in less than 4 hours, it should be an integral part of your itinerary whilst visiting South Island. After a lunch stop at The Hermitage, where Mr Denis Callesen, G.M. of the Hermitage took me on a short tour of this fantastic property, I boarded the coach at around 1530 hours to head to Christchurch which is around 4 hours from the Aoraki Mount Cook. On our way we had a photo stop at Lake Tekapo to see the Church of the Good Shepherd. Tekapo is a Maori word meaning night sleeping place (Taka is “sleeping mat” and Po is “night”) and Lake Tekapo has the clearest, darkest and most spectacular night sky in New Zealand. The University of Canterbury operates an observatory on top of Mount John. The Church was built here to the glory of God as a memorial to the pioneers of the Mackenzie Country and the foundation stone was laid around 1935. The builders of the Church were instructed to leave the site undisturbed and you will find the matagouri bushes and rocks around the church and the view of the Church and the turquoise blue colour of the lake with the rock and bushes around with Mount Cook in the background is truly a photographer’s delight. Near the church there is a monument of the Collie Dog which was built by the runholders of the Mackenzie County to value the contribution of the dog without the help of which the grazing of the mountain country would be impossible. After crossing the Canterbury Plains, we arrived in the Garden City of Christchurch and as the coach was crossing Colombo Street to drop me at my hotel, I saw an interesting restaurant serving Burmese cuisine known as the The Bodhi Tree which was walking distance from my hotel. After freshening up, I walked to The Bodhi Tree expecting to get a table easily. However, the place was choc a block and I was lucky to get a table as they had a last moment cancellation and I would admit that the Bodhi Tree probably offers the best Burmese cuisine in the world, outside Myanmar(Burma) and should be on your list of restaurants to visit when you are in Christchurch and make it a point to reserve prior to visiting the restaurant. Whilst waiting for my table, I got to learn about Burmese cuisine. The ideal Burmese meal is to eat rice in the most appetizing way along with tasty accompaniments. A meal generally consist of a variety of dishes meat, vegetable, salad, seafood and soup with the whole meal being served simultaneously. The dishes are smaller sized portions and you can easily have two dishes per person along with rice. The meal is generally cooked in olive oil and at times with a combination of canola oil. I chose to have the Le Pet Thoke as an appetizer which is a famous tea salad comprising of pickled tea leaves mixed with lentils, nuts, sesame seeds and chili followed by Ono Hin Ye which is a coconut and chicken soup and Nga Kin which is a boneless filet of fresh fish baked in the oven along with rice. The desserts too were interesting and I chose to have the Majidi Ye Ke Mot which is a tamarind sorbet, very tangy and refreshing and the entire meal came to 37 NZD ( approximately Rs1300), great value for money especially for world class Burmese cuisine. The place should be a must include for anyone visiting Christchurch. After a sumptuous meal and a long day, I looked forward to the penultimate day of my tour where I would be going Whale watching at Kaikoura. At around 8 am the coach arrived from Canterbury Leisure Tours to head in the direction north of Christchurch to Kaikoura. Kaikoura lies on the east coast of South Island and is 180 kilometres north of Christchurch and the town has a population of just over 2200. The drive to Kaikoura is spectacular as you go thru a hill country of North Canterbury to arrive at the place rich in a wide variety of marine mammals. Kaikoura is comprising of two words kai which means “to eat” and koura which stands for “rayfish” as the crayfish industry is a major contributor to the economy of this region. However the region is very popular to view the giant sperm whales and schools of acrobatic dusky dolphins. It took us a little under 3 hours to arrive in Kaikoura and we were transferred to a whale watch tour which operates subject to weather conditions. We were lucky to get good weather and I was indeed glad to know that the boat would operate. For those who are prone to sea sickness, you could hire or purchase wrist bands which will gauge your pulse and ensure that you do not suffer from sea sickness when on the boat to view the whales. Kaikoura is one of the few places where you could see the giant sperm whales almost all year round and we were lucky to get some sightings from close quarters. The giant sperm whale grows upto 20 metres and is undoubtedly the highlight of the tour and it is quite common to also see dolphins as well as other species of whales, migratory birds and sea birds including the Royal Albatross. From across the sea you get a spectacular view of the bay of Kaikoura with the mountains in the horizon. At Kaikoura there are tours where you can go swimming with the dolphins and you can also take some of the walking tracks to go and see the southern fur seals on the edge of the town especially when the tide is low. We had the opportunity to see some seals basking in the sun and you can really go close to them as the ocean gives way to a rocky base which is easily accessible by foot. One of the reason that Kaikoura is so rich in marine life is because the peninsula extends into the sea south of the town and this results in currents that bring in rich marine life from the nearby Hikurangi Trench. The town has lots to offer as there are scenic wine cellar tours, sheep shearing tours as well as animal farm tours in the area. You could visit the Kaikoura winery, Fyffe House which is the historic whaler’s home, lavender farm as well as Donegal House which is famous for its country Irish pub and garden. There are several cafes and restaurant in the area including an Indian restaurant called Plaza India Kaikoura. In the area, you also have activities which include golfing, horse riding, adventure and 4 wheel drive tours, scenic flights, kayaking, diving, bird watching, quad biking, cave tours as well as fishing. You can easily spend a couple of nights in Kaikoura if you want to be closer to marine life and enjoy some of the activities in the area. If the sea is rough you can also do whale watching in Kaikoura by taking a light aircraft or a helicopter whale viewing flight although in my personal opinion the boat tour is the best option to get closer to the giant sperm whales. On our way back we had the opportunity to stop at a North Canterbury vineyard as the region is extremely rich in wine and after some wine tasting we headed back to Christchurch. It was time to bid farewell to New Zealand and I had the opportunity to see a lot of New Zealand in these 17 days. 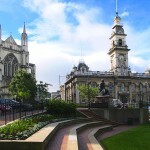 However the country has so much more to offer that it would take several trips to include other areas, be it Wellington – the cultural capital, Dunedin – the Edinburgh of the South, the rugged Wilderness of the West Coast, the amazing coastline of the Marlborough Sounds, the sun-sand and serenity of the Coromandel, the volcanic country of the Tongariro National Park or the underground activities at Waitomo. These are just few of the several experiences that one can get in naturally New Zealand. I love the photo of Mt Cook. Any chance you could email me the original full size photo so I can print it?